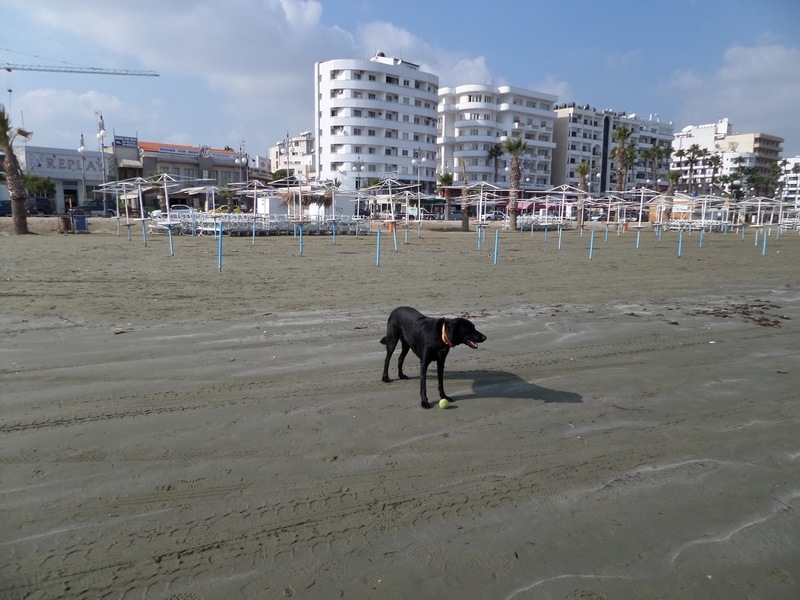 It would be irresponsible of me to recommend dog owners take their dogs to Finikoudes (Palm Beach) in Larnaca, as there as signposts clearly forbidding dogs on this beach (and almost every beach in Cyprus). 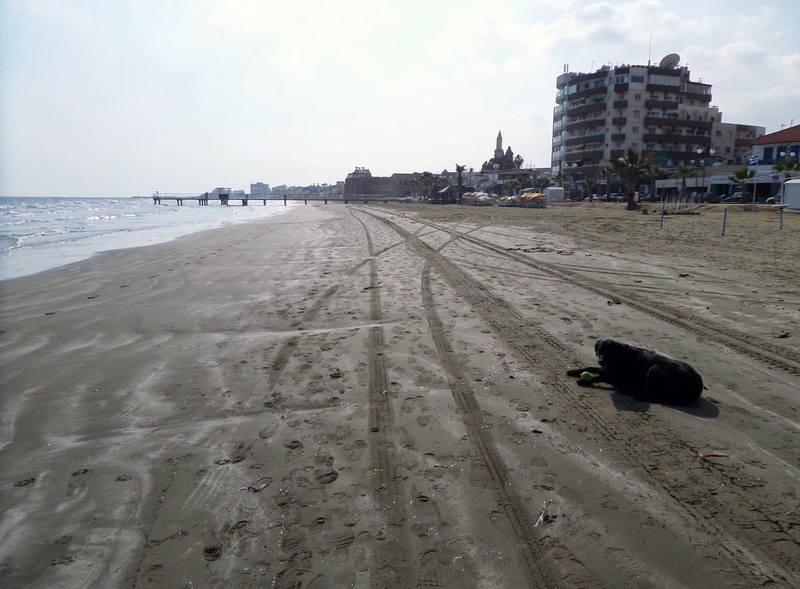 Do be careful walking your dogs here, I have heard of outrageous fines for having dogs on the beach in Cyprus. 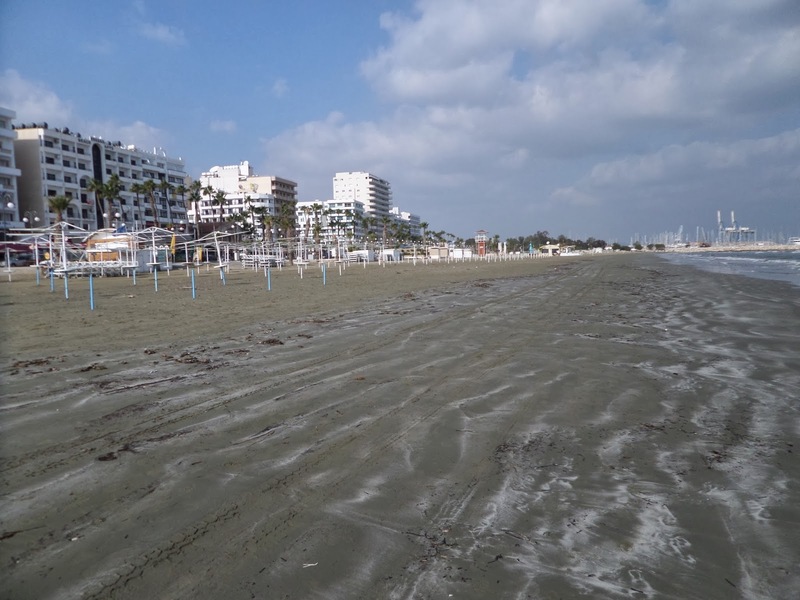 Still, from November until about April, once all the sun loungers have been collected up, the umbrellas packed away, the kiosks have been locked down, then the beach is perfect for chasing after tennis balls and running around on the sand! If there are too many people around - too many interesting new smells and sounds - I can't relax and enjoy our walk, so I avoided this beach with Sage during the summer. Although I did see quite a few dog walkers here even in June-July. Just now, in January-February however, it's great for a lunchtime run around. 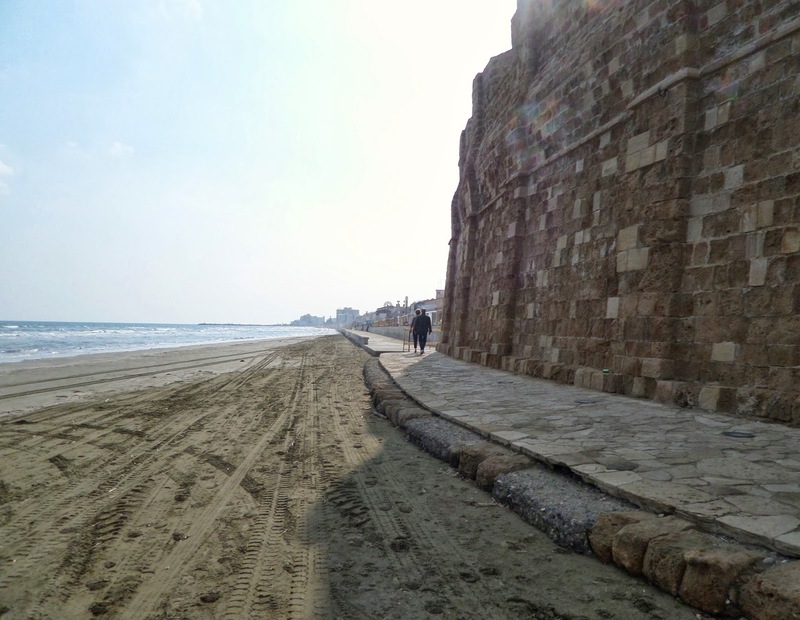 The path has been extended beyond the fortress towards Mackenzie Beach now, meaning you could do a long walk along the coast, all the way from Larnaca marina to Mackenzie. 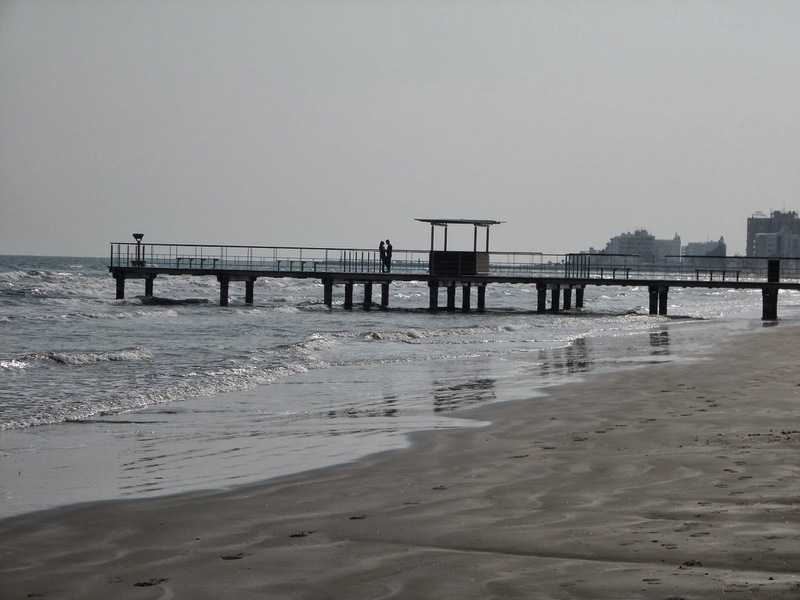 One of our favourites, however, at least for this time of year, is the Finis Beach Bar. Again, I avoid this place in summer with Sage, as it is located right on the sand. During winter though, it's great to walk down for a drink at the beach bar (open until about 5-6 in the evening) and watch the sea. Staff have always been super friendly to us and Sage, even bringing her water (unasked for) last time, and stopping to pet her. It can get a bit cold at the Beach Bar, we have always sat outside when we are there with Sage, but you can buy a range of teas, coffees, or hot chocolate to warm you on the inside. Finis beach bar now has a NO DOGS sign up.